"I've had the opportunity to do so much, so quickly," says the appreciative MacKay, who at 19 feels a keen urgency. "The career is quite short. If you have things you want to achieve, you have to go for them as soon as possible." MacKay got an early start in ballet, alongside his younger brother, Nicholas MacKay, and older sisters, Maria Sascha Khan and Nadia Khan, all of whom were dance-obsessed since childhood. MacKay received his early training in Montana, and following a bronze-medal win at Youth America Grand Prix, Bolshoi Academy teachers invited him to join the school. 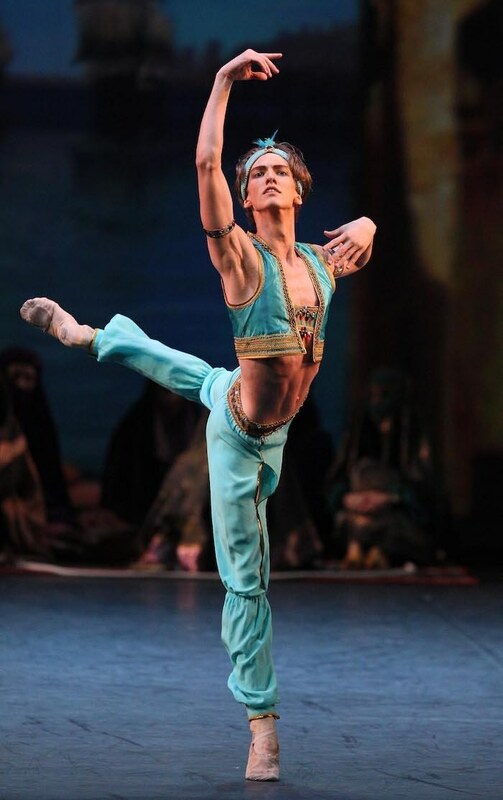 Before he went, he moved to San Diego to study with former Bolshoi dancer Maxim Tchernychev. Russia was an opportunity MacKay couldn't pass up, daunting as it was to move halfway around the world to begin six years of extremely intense training. "I went through army boot-camp schooling," he says of the six-days-per-week program, which ranged from rigorous ballet technique to the Stanislavsky acting method. MacKay's training helped him to win medals in Sochi, Istanbul, Paris and Beijing. The 2015 Prix de Lausanne, where he earned an apprentice scholarship to The Royal Ballet, helped define his goals. He took the apprenticeship, but as much as he admired the company and artistic director Kevin O'Hare, MacKay was not content in the corps. At an audition in Hungary, Mikhailovsky director Mikhail Messerer offered MacKay a soloist position. MacKay was thrilled to return to Russia, where he's pursuing a Russian Ballet Master graduate degree while dancing. He also had his choreographic premiere with a new version of The Little Humpbacked Horse, at the Four Seasons St.Petersburg. It starred Nicholas, Maria Sascha and Nadia—all four siblings are currently dancing and training overseas. MacKay's path is leading in non-dance directions, too. His charismatic good looks landed him a modeling contract with IMG and a photo shoot with Kendall Jenner for the avant-garde fashion magazine LOVE. "I feel like I've won so many lottery tickets," he says. Luck plays a part in any career, but MacKay is forging his own path with talent, training and that adventurous spirit. "You can do anything," he says, "if you aspire to it and really push for it." Russian food craving: Kholodets. "It's basically pieces of meat in Jell-O. It's pretty crazy, but kinda good." Puppy love: "I'm teaching my French bulldog puppy, Leo, how to skateboard."